Video marketing is one of the leading and result driven ways to increase brand awareness as well as to generate more sales for a company or business. Since YouTube is the most popular and top platform for video marketing, you need to get more subscribers on YouTube for more video views and conversions as well. How to get subscribers on YouTube for more views, watch time and comments is the core purpose of this article and it will definitely help you get more views and watch time as well in results. YouTube is also a great way to earn money via your video content by monetizing the YouTube channel with Google AdSense. However, according to the YouTube’s new criteria for creator monetization, every YouTube channel will need to get 1,000 subscribers and 4,000 hours of view time in the past year (12 months) and 10000 views on its videos in order to get the channel approved for monetization. 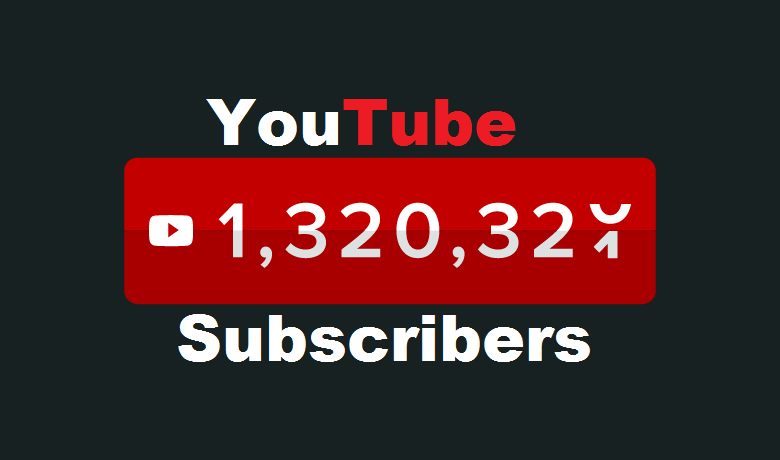 If you are running a YouTube channel with a lot of subscribers and views, then you are the lucky YouTube because you are on top of one of the best marketing platforms around the globe. If you don’t have enough amount of subscribers and views on your channel to apply for its monetization, then go through the article and learn how to get subscribers on YouTube to earn money online. First of all, you need to create videos that are high in quality and engaging as well. Always make something that that people will love to watch and they will surely subscribe to your channel once entertained by your videos. Content which is entertaining and informative always plays a vital role in the growth of the YouTube channel. Overall design and layout of your channel can have a great first impact on visitors if all basic channel customizations are done correctly. It could be the starting point where new YouTube visitors interact and get to know what your brand or company is about. Design a creative and appealing YouTube channel art or header to visualize your brand effectively. If you really want new visitors to subscribe your channel, you need to provide them an attractive and overall professional channel homepage. You are the YouTuber and should be watching different videos related to your niche or market. Not only watching the videos but posting most relevant and valuable comments on other videos can also help you get more subscribers for YouTube channel. Commenting on videos is an easier way to grow your Youtube channel fast by getting more subscribers than ever. Not replying the comments of the audience on your videos is one of the worst YouTube mistakes to avoid as they always expect a positive response from your side whenever they comment on your videos. Staying in touch with your audience can be a great way to increase YouTube subscribers fast. Through this way, you will be able to bring them back on your videos often that will definitely increase the watch time also. The more devoted you are to relate with people who comment on your video content, the more likely you are to get new subs for your channel. Apart from the quality of content, if your videos don’t have appealing video thumbnails, you are less likely to get more views and subscribers as people will first have a glance on the thumbnail before watching the video. So, make your video thumbnails tempting to get more views and subscribes as well. Canva is the best online graphic design software that enables you to make good looking YouTube thumbnails in short time. Search engine optimization is not only beneficial for blogs and business websites but it can also be done to rank higher in YouTube search results. You should employ vital YouTube SEO techniques when creating video titles, video description, and tags etc. by doing so, your videos can appear in top search results to get more views and subscribers also. Your focus keywords should always be there in titles, description and tags to get most from your efforts. In order to stay on the top of latest YouTube updates, you need to be active. You can join several Facebook groups full of YouTubers and video marketing experts to expand your skills and expertise. YTtalk is one of the best online platforms to stay updated regarding latest YouTube news and updates. The more you will join the communities to show your face as a YouTuber or Vlogger, the more people will notice your creative work and will definitely subscribe your channel to get regular updates from your side.